Try one of our Electric Bikes and experience an easy and scenic 25-Mile ride through the Virginia Capital Trail to Shirley Plantation History Tour. You will get to sees rural Virginia like you never have before on one of our unique electric bikes. Shirley is the 2nd Oldest Plantation in the United States which was built by the Carter family. You will also experience wine tasting at Upper Shirley Vineyards! Shirley Plantation is the 2nd oldest plantations in the country built by the Carter family and the house has been occupied by the Hill-Carter family since 1738 and has housed eight generations. It is also claimed to be the the most intact 18th-Century estate in Virginia and is the oldest family-owned business in North America. 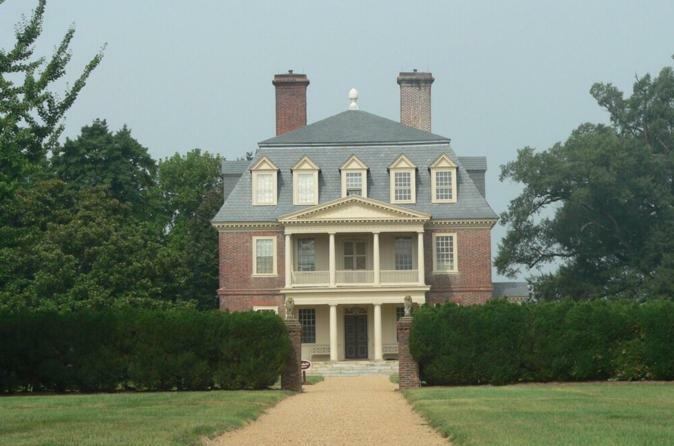 Through 11 generations, Shirley continues as a working plantation, a private family home, a National Historic Landmark, and a Virginia Landmark. Our Historical Plantation Tour includes a visit to the main house and the surrounding grounds. We will also take you on a wine tasting at Upper Shirley Vineyards not to far away. After this tour our Transportation Van will take you and your bikes back to where this wonderful adventure started.